Reuters’ review of documents found the company was aware of trace amounts of asbestos since at least 1971. 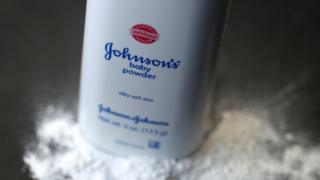 J&J lawyers said: “Johnson & Johnson’s baby powder is safe and asbestos-free. Attorney Peter Bicks told Reuters in an email. “The scientific consensus is that the talc used in talc-based body powders does not cause cancer, regardless of what is in that talc. The documents revealed that from at least 1971 to the early 2000s the firm’s internal tests sometimes found small amounts of asbestos in its raw talc and finished powders. Most of the firm’s tests did not find asbestos, and it did not disclose the tests that did to regulators, Reuters found. Mr Bicks said the tests cited by Reuters article were “outlier” results. In court, the firm has argued that some of the documents referred to industrial talc products. The investor reaction wiped 10% off the firm’s market value at one point, making it the biggest loser on the Dow.